Why To Gift Exquisite Precious Gemstones This Diwali? Diwali is one of the most colorful, joyful and sacred festivals of Hindu’s. It would not be a falsehood to contemplate Diwali is the biggest festival of India. Every year this festival is celebrated with great elation, enthusiasm throughout the length and breadth of India. By meticulously monitoring the significance of this festival in our lives, one would come to know that Diwali has not remained a mere festival at all. It imparts useful values and moral ethics such as humanity, brotherhood, love, and respect in our lives. Thus, Diwali enriches our character and values. Moreover, it relinquishes us a great chance to assemble or get together with our families and friends and have a heart to heart talk. This festival also provides us with an immense opportunity to resolve our estrangements and conflicts with our family and friends. On the lighter note, Diwali also offers us an opportunity to receive or give gifts to our relatives and friends. 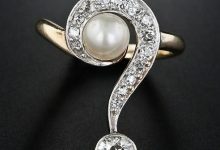 However, it is quite common to see people getting confused while choosing a perfect gift for their beloved ones. Because there are a plethora of gift options available in the market, which instead of clearing your apprehensions further escalates it. It is quite common to spot people presenting the same types of gift or presents every year on Diwali. Now, it is the time for all of you to halt this practice and figure out something new and out of the box. However, this out of the box word also increases the tension in gift buyers. Therefore, 9gem.com has come up with a unique gifting idea for this Diwali which will bring love, happiness, and prosperity in your life. And also it will look hugely impressive. As it has been stated that Diwali is the festival of lights and cheerfulness. The above attributes of Diwali assist colorful gemstones to become the best gift choices to present your friends and relatives this Diwali. 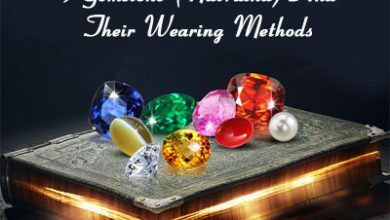 Apart from being attractive, these colorful stones occupy spiritual forces due to their affiliation with celestial forces. Hence, wearing these stones invites spiritual forces in the wearer life and let him/her lead a content and prosperous life. 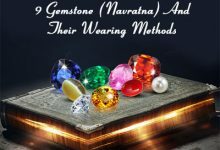 There are several powerful gemstones which you can present to your family or friends this Diwali; let’s go through with the list of following gemstones. Popular for its brilliant luster and color, this stone will prove best gift choice for this Diwali to surprise your family or friends with. 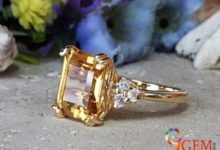 Besides, from its dazzling shine and vivid colors, this stone is also famous for its affiliation with the planet Saturn. It is said that wearing blue sapphire stone will make you eligible to obtain various metaphysical and spiritual properties in your life. However, it is a precious stone which sometimes abstains a person to acquire it. If you are not fond of blue color and looking for varieties in color or shade, but not ready to compromise with the quality. Then, the mesmerizing red color ruby stone will prove the best alternative of blue sapphire. The mesmerizing red color ruby stone rings, necklace or pendants will look best on the eve of this Diwali. In fact, the alluring red color accompanying with brilliant luster will dazzle the wearer surrounding. Thus, present a beautiful red color natural ruby gemstone to your loved one this Diwali. 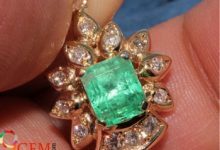 However, buying a ruby is also a costly affair, but, you should not be worried about the price of this stone. To buy Ruby stones at best price visit the following link. 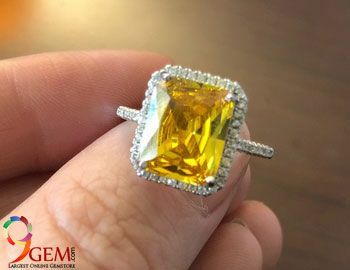 Like blue sapphire, yellow sapphire is also another excellent gemstone which you can buy this Diwali for someone special. The gemstone has unique physical and metaphysical properties like blue sapphire which enhances its overall worth. 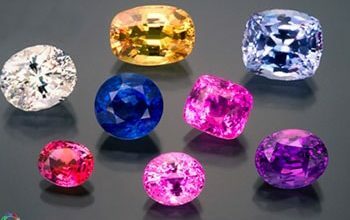 Moreover, if you presume that stone is subordinate at physical attributes compared to blue sapphire, then you are wrong. The lucrative yellow color with exceptional shine makes this stone obtain the tag of precious stone. 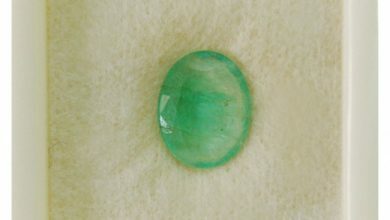 This gemstone is available at reasonable rates for this Diwali, so hurry up!! And buy one for someone close to your heart. 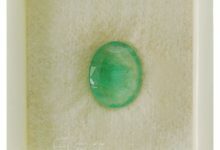 This stone is immensely attractive due to its vivid green color and physical attributes. However, apart from this, the other thing which makes this stone the best pick is its association with the planet Mercury. Mercury is renowned to be the planet of true love and wisdom. 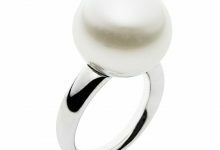 Thus, those who are betrayed in love or seeking for true love should wear this stone. 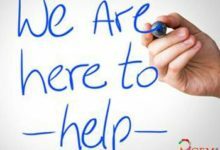 Moreover, it proves best for students who are preparing for competitive exams and higher studies because it boosts up their concentration and memory power. You can gift this stone to your family member who is either facing obstacles in his/her marriage or studies. That member of your family or friends who is suffering from malefic Rahu Dasha should wear hessonite stone. Since wearing Hessonite stone will nullify the ill-effects of the planet Rahu from their lives. Therefore, gifting a hessonite stone, this Diwali will stand out as the best gift for them. Hessonite gemstones are not expensive, so they can easily fit in your budget. To buy a hessonite stone, this Diwali click here. Similar to the hessonite stone which relates with the ferocious planet Rahu; cat’s eye stone connects with the dreadful planet Ketu. 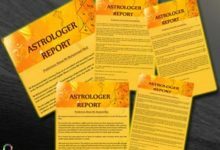 Ketu is a most inimical planet, and it emerges a lot of problems, both on the physical and mental level for its ascendant. Red coral stone with its charming red color will light up your life in this Diwali. Red coral is related with the coercive planet Mars, which is responsible for dreadful Mangal dasha or Manglik dasha. Hence, if someone if your family is under Mangal dosha or Manglik, then gift him/her this stone to eradicate the ill-effects of planet mangal from their lives.